July 2.The band consists of Stephen Doherty on flutes, accordion, and percussion, David Doocey on fiddle, Anne Brennan on vocals, and Shane McGowan on guitars. 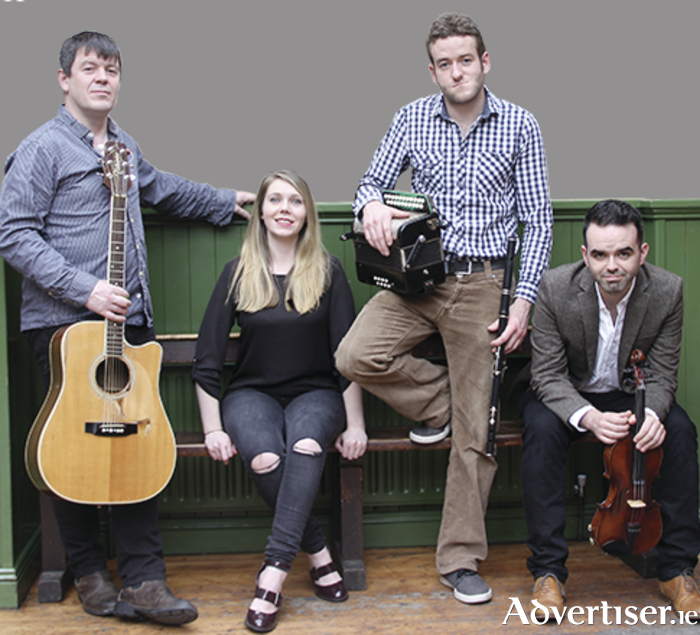 Between them, they have toured, performed, and recorded with a who's who of artists including Sharon Shannon, Sean and Dolores Keane, Lúnasa, Gráda, Tim O’Brien, Paul Brady, and Dave Munnelly. The band's debut album has been recently released to critical acclaim with a rich and interesting mix of beautiful songs coupled with traditional and newly composed music. They have just finished a 35-date tour of Germany where they played to packed houses every night. With their sound being described as innovative and highly energetic, it is not hard to see why Blás are being described as one of the best new bands to come out of Ireland in recent times. Tickets for Blás at Claremorris Town Hall are priced at €15 and are available from the Box Office on (094 ) 931099.